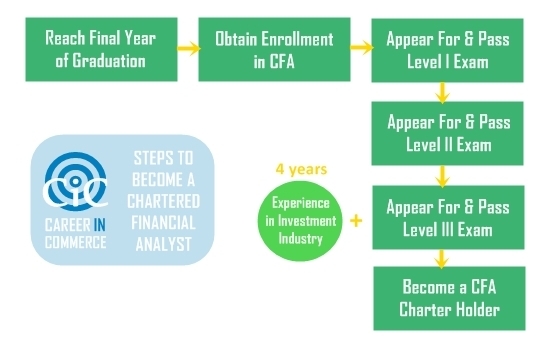 The Chartered Financial Analysis (CFA) Degree is awarded by the CFA Institute, USA and is a valuable profession certifying in-depth knowledge of security types and investment. The CFA Program is a globally recognized, graduate level program that provides a strong foundation of real-world investment analysis and portfolio management skills along with the practical knowledge one needs in today’s investment industry. It includes a thorough knowledge in quantitative methodologies for analyzing securities that is assessing their value and identifying their underlying risks. The syllabus for the different papers is given as follows. *Economics is part of Portfolio Management at Level III. Fee Structure: The fee structure of the exam changes on a number of criteria, such as type of study material desired (printed or e-book) and date of registration. It can be viewed here. For further information on the course, visit the website of the CFA Institute.